VILLAGERS in the Midlands rural constituency of Silobela have resorted to cat and mouse games with wild animals to forage for food as effects of the drought take their toll, MP for the area Manoki Mpofu has said. So dire is the situation according to Mpofu that any delays in food assistance from government could spell disaster. “The plight of the villagers is very dire as we are now battling with wild animal menace. “Due to the drought wild animals are moving from the forests into the villages. Recently have been grappling with the problem of zebras which are now destroying what is left of the crops,” Mpofu said. Zimbabwe is facing one of its greatest famines after below normal rains this farming season. Silobela is in one of the country’s most arid parts with villagers resorting to gold panning to augment their incomes. Battling poor infrastructure the gold rich area has always been prone to droughts. Silobela is connected to nearby Midlands town of Kwekwe by a narrow strip road built during the colonial era to service white commercial farms and the gold mines in the area. “The situation has been worsened by hailstorms which struck the area destroying infrastructure in the process. “The hailstorm also extensively damaged the otherwise promising crop in ward 27 (Sithembiso) and 28 (Nyakwati),” the MP said. In neighbouring Zhombe in Lozani area marauding elephants area also wreaking havoc destroying crops. It is believed that the elephants escaped from Uwava, an animal sanctuary north of Kwekwe. “The elephants destroyed crops during the night. The destruction is so severe that villagers in the areas are now bracing for the worst this famine in history,” Chief Samambwa of Zhombe said. Zibagwe Rural District Council (ZRDC) chief executive officer Farai Machaya confirmed his area is also struggling with wild animals. 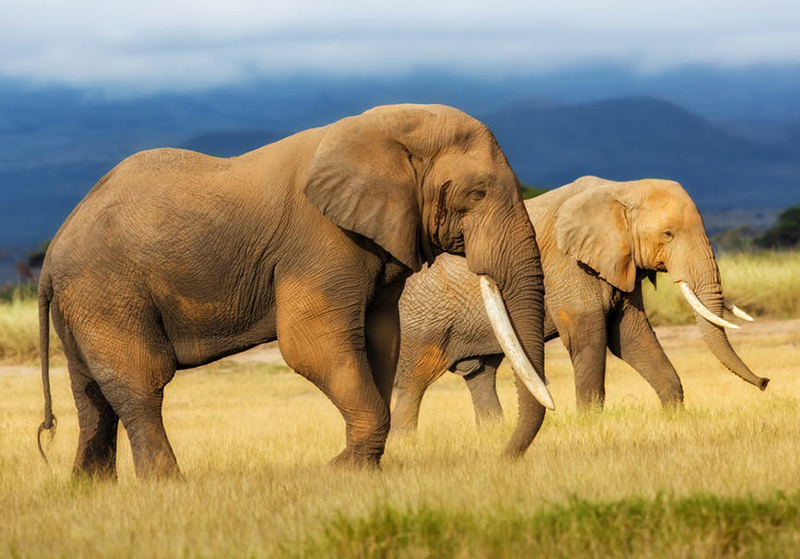 “Elephants are straying from the park in search of food, wreaking havoc on the meager crops villagers were expecting to harvest after the rains ended prematurely,” said Machaya. A Silobela councillor Willard Moyo weighed in pleading for government assistance to save lives. “People are surviving on plain vegetables only. Villagers are getting maize from the social welfare but it is inadequate that out of 900 vulnerable families in my ward only 300 are benefiting,” Moyo said.